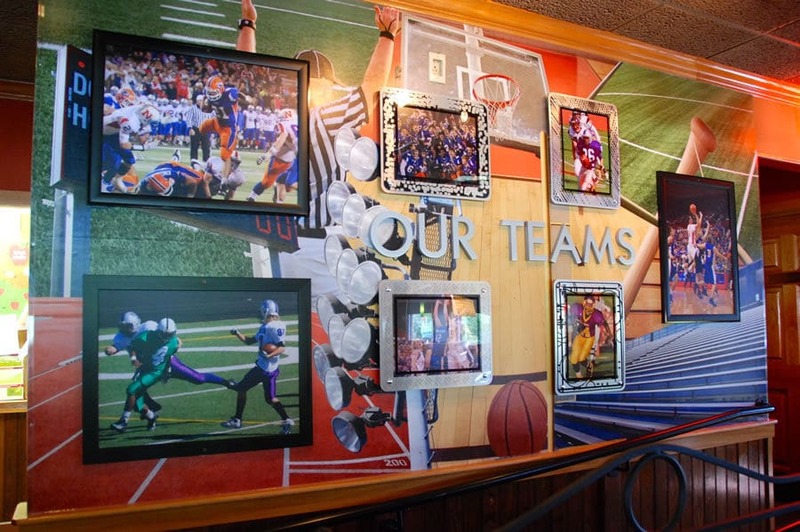 Applebee’s in Bellevue, Nebraska chose three Catena Creations photos for its sports gallery as part of its 2013 design update. Catena Creations’ photography and video portfolio includes more than 30 years of experience in creating images for both print and the web. Please see our Photo Gallery for our online portfolio, or view it on our SmugMug website. Candid photos at social and corporate events. These are perfect for newsletters, your website and posting on your social media. Illustrations, such as scenic panoramas, extreme close-ups of flowers and other subjects in nature, and other objects. These are suitable for illustrating your print and electronic publications, as well as home and office decor. Sports photography. We’ll record the perfect catch, the just-in-time tackle, the winning moment for your team, your child’s team, or a corporate team. Audio and video clips can add an exciting dimension to your web stories. You can add testimonials from satisfied clients, introduce your company, or explain your products and services. Catena Creations can record the video, edit the clips, add graphics and create a complete package for your website, social media and electronic newsletters. We’ll also post the videos to your corporate YouTube or Vimeo channel (or create one if you don’t have one) to enhance your search engine optimization. Examples of our client videos are shown below.